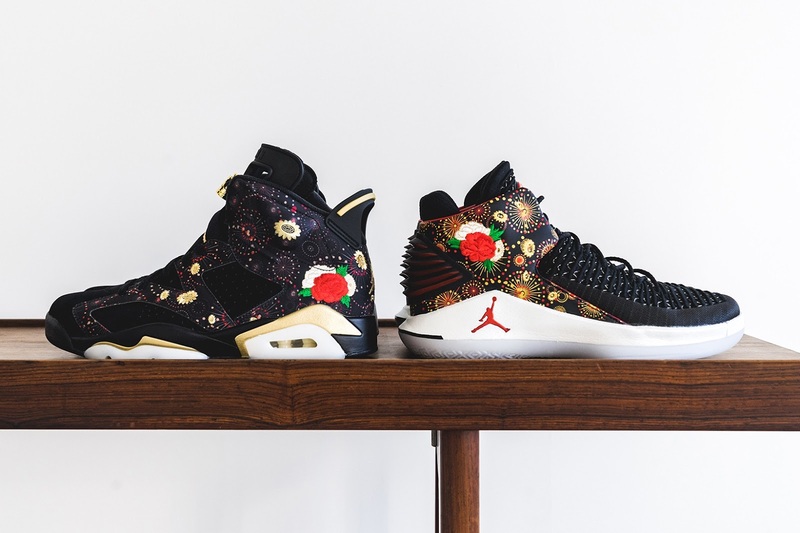 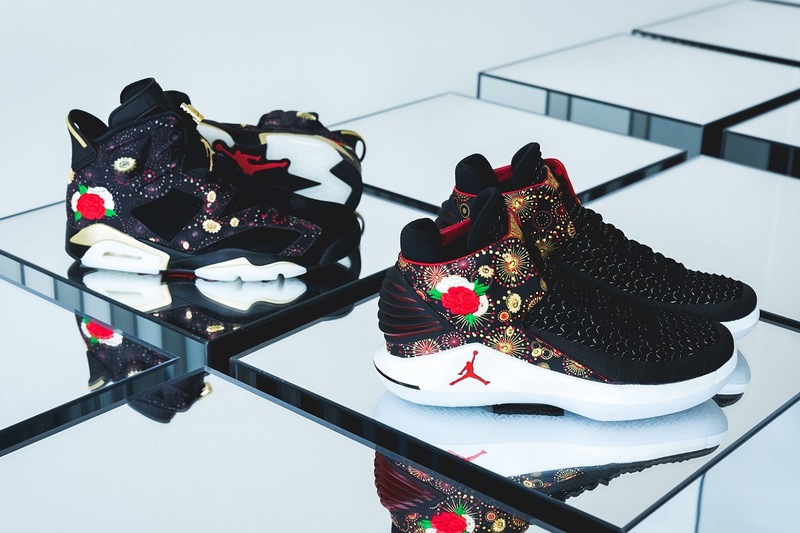 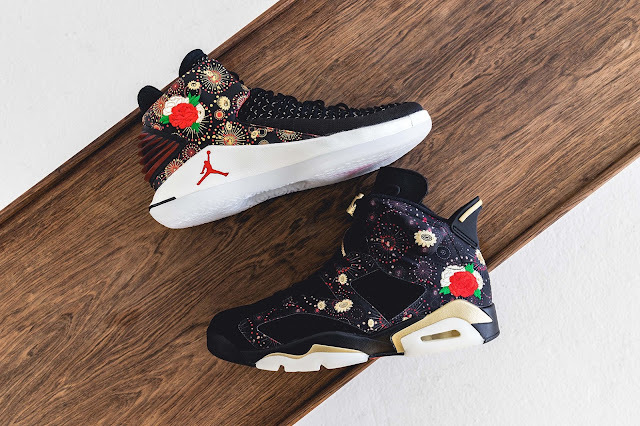 The Chinese New Year Holiday Pack Air Jordan 6 and Air Jordan 32 Low, is in Asian retailers NOW!!!! 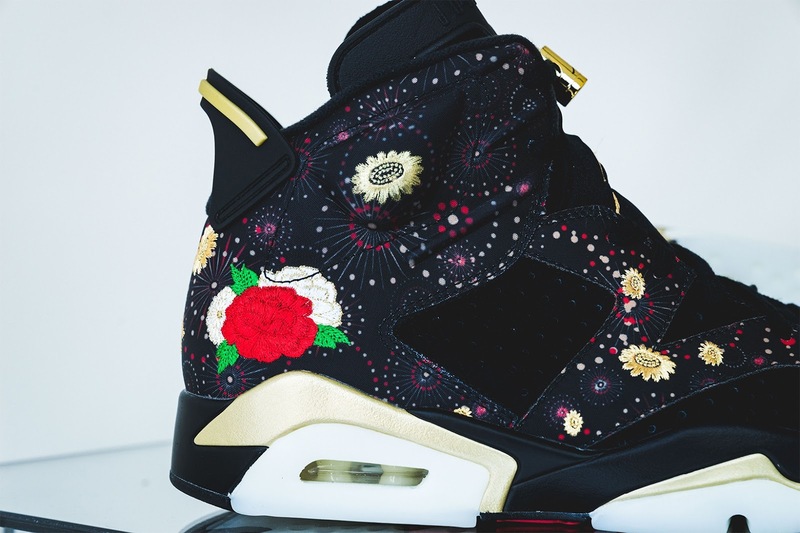 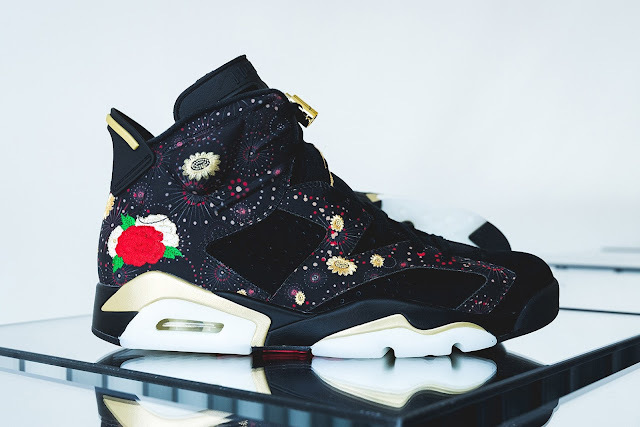 Each iteration welcomes a black-based upper with firework patterns and traditional floral embroidery throughout. 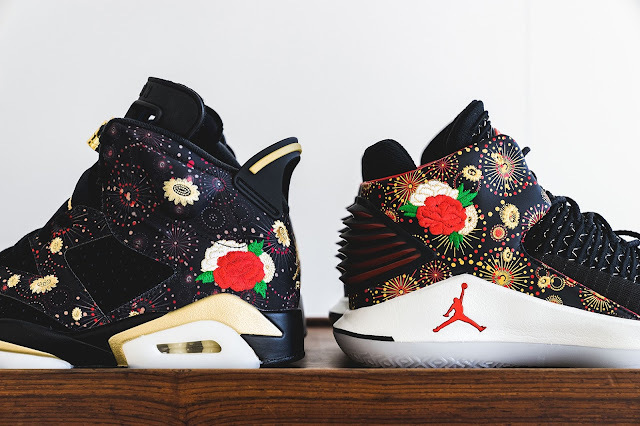 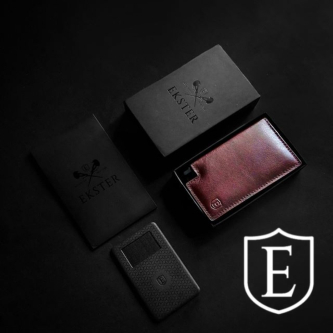 You can purchase one or both models this weekend in Asia only, while a stateside drop is slated for February 1.